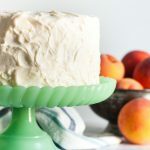 Fresh peaches, and a little peach wine, make this peach wine cake from scratch a delicious cake fit for a Southern belle! I’ve mentioned the few years we lived in Georgia a time or two before on the blog. In case you didn’t know, Georgia peaches are a Big Deal. The peach season is long, lasting all summer with different varieties harvesting at different times. There really isn’t much better respite from the ridiculous Georgia summers than a nice fresh peach (and some tea, of course). When we had a chance to visit again earlier this year, I was so sad we just missed peach season. We stopped by the local orchard for some ice cream anyway, bought some local honey, and a bit of peach wine. 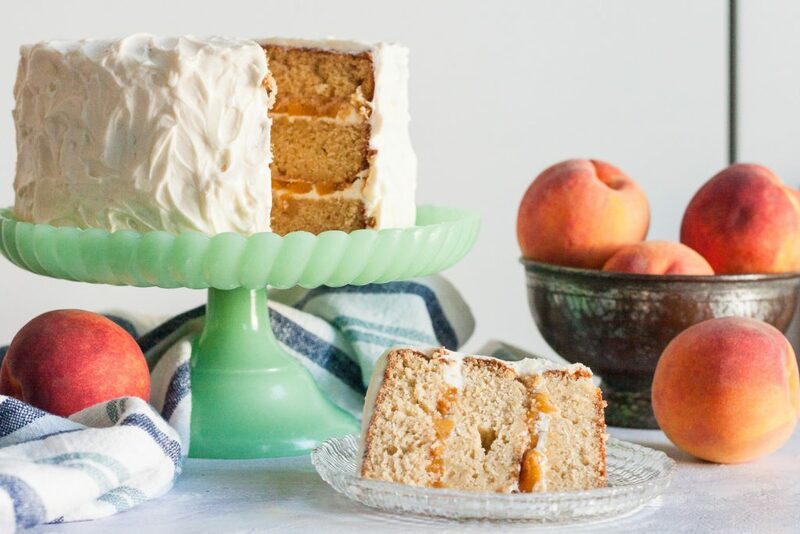 I specifically bought the peach wine to make this cake. 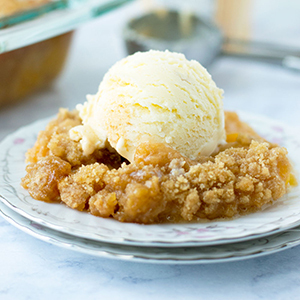 I figured it was the best way to bake with Georgia peaches in a roundabout way. 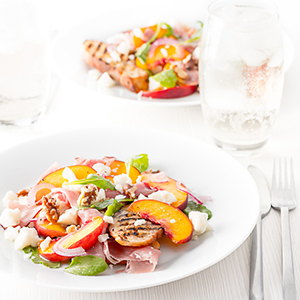 If you don’t have peach wine, substitute a nice fruity Chardonnay, Moscato, or Riesling. If you don’t drink, substitute for an equal amount of pureed peach. 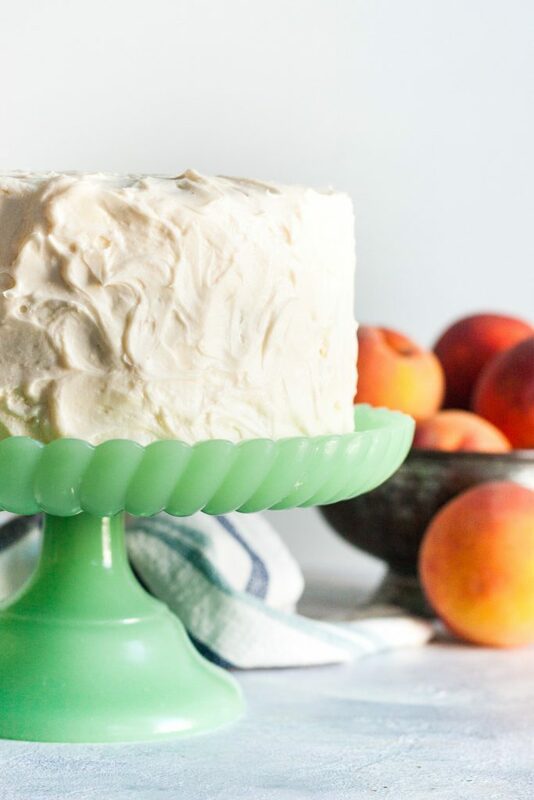 But definitely make this cake while you can still find fresh peaches in season at the markets. 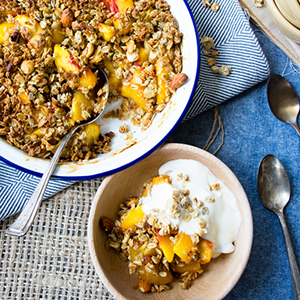 I prefer yellow peaches to white for baking as I find the final result is sweeter. 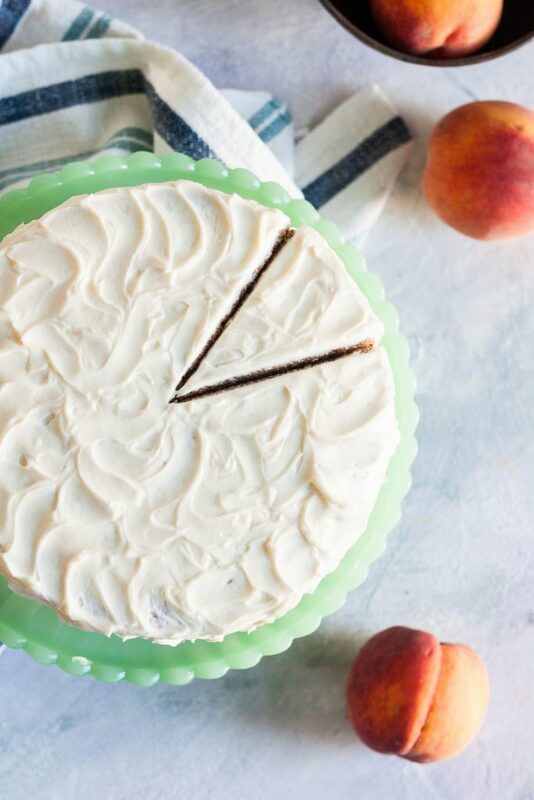 I haven’t tried this cake with frozen or canned peaches, but if you do, please let me know how it turns out. Otherwise, this will likely be a strictly summer cake for me. To make sure there’s a lot of peach flavor in the cake, I made a fresh peach filling and put peach puree into the batter. The frosting is a classic cream cheese frosting to keep that lovely white look. And it provides a creamy contrast to the all the delicious peach goodness happening in the cake. 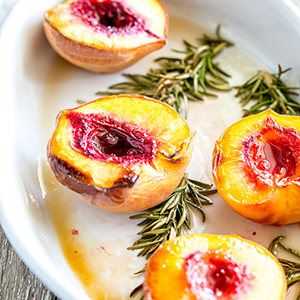 I know there are many ways to peel peaches, and you should use the one that makes you happy. I stick to my trusty serrated peeler. 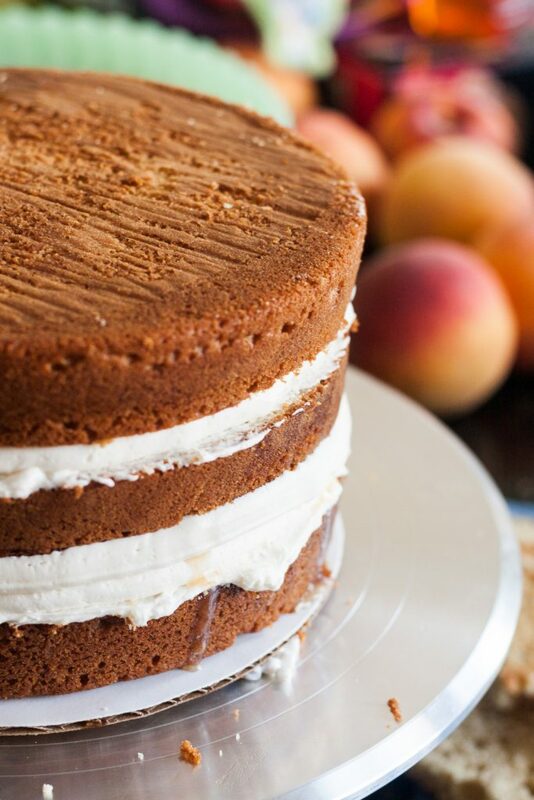 Ripe fresh peaches will pull right off the pit, to it’s very easy to process the 4-6 peaches you’ll use for the cake. Most of the peaches will go into the filling, which I recommend making a day in advance. 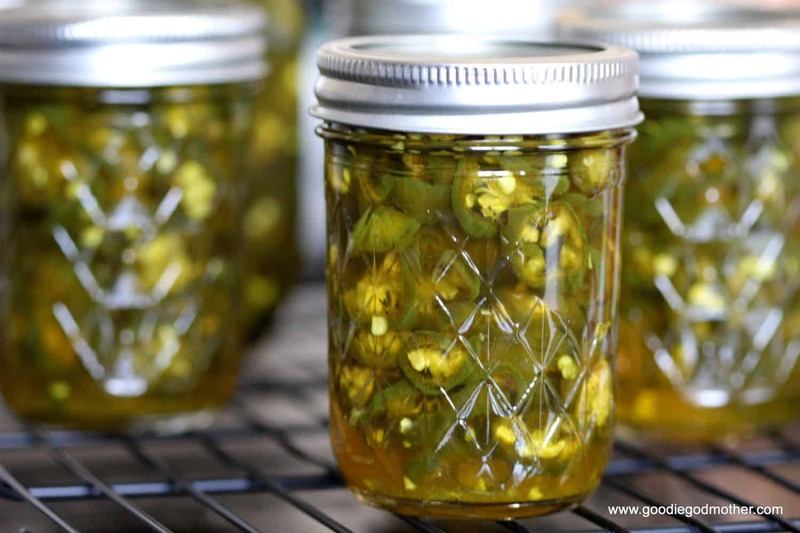 You must make this first and allow enough time for it to set and chill. 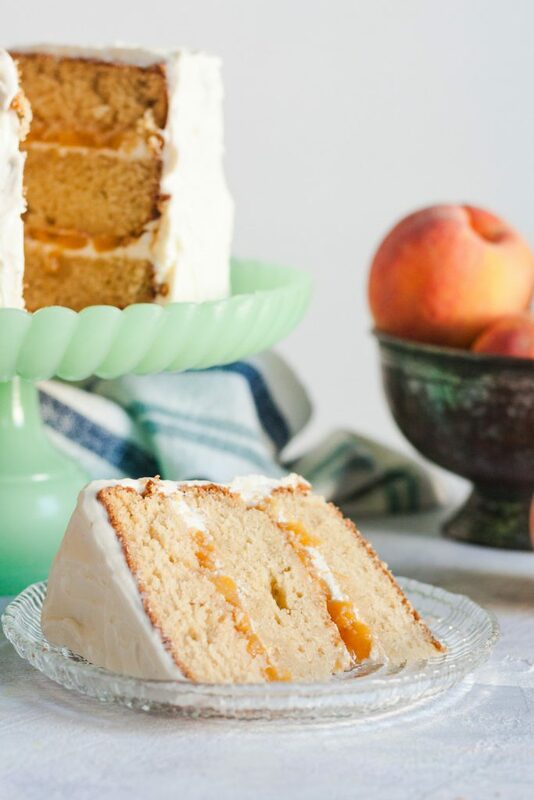 What I really love about this peach wine cake is the vibrancy of the peach flavor. 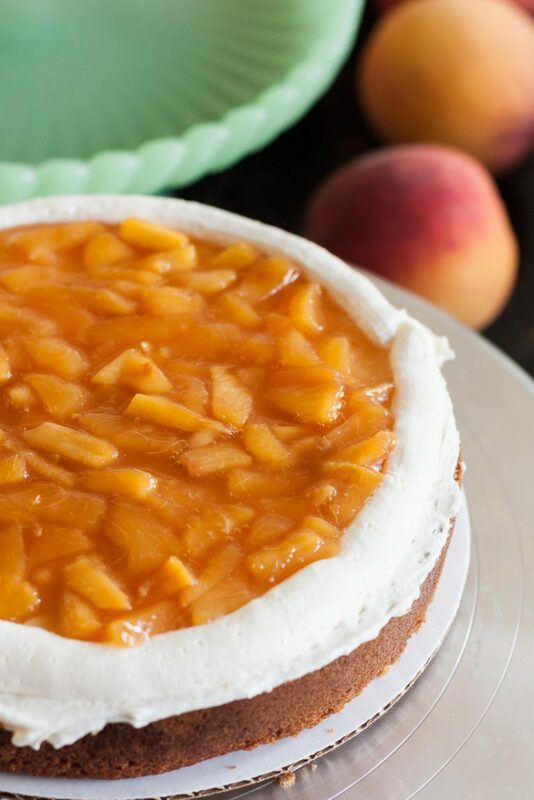 You can really taste the fresh peaches, and fresh flavors in cakes is always best. In fact, I think that the cake tastes even better the day after it’s been assembled because the fresh peach cake filling has had a chance to blend with the cake a bit. Just be sure to dam the filling with frosting as seen in the photos. The filling isn’t solid enough to hold the weight of the cake layers without oozing everywhere. Top with cream cheese frosting, because of course we would, and enjoy! 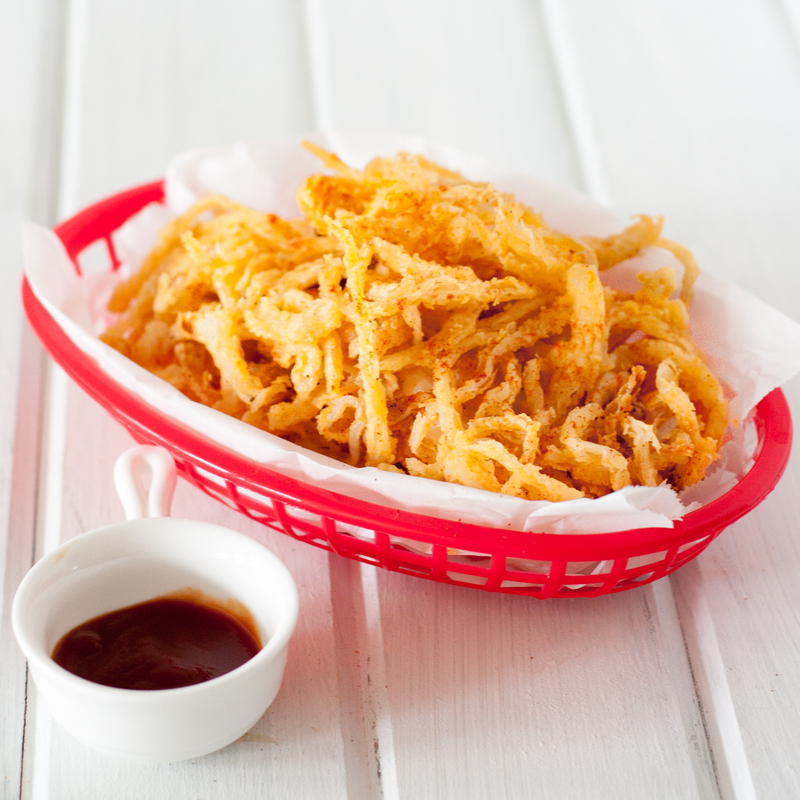 Combine the first four ingredients for the filling in a small sauce pan over medium low heat. Simmer 10-12 minutes, stirring occasionally until the sugar is dissolved, and the mixture starts to thicken. Dissolve the cornstarch in the water and add to the peach mixture. Cook another 2 minutes, stirring constantly, then remove from the heat. Transfer the cake filling to a glass bowl, cool, and then refrigerate until ready to use. Preheat your oven to 350 F and grease and line 3 8" round cake tins. Set aside. 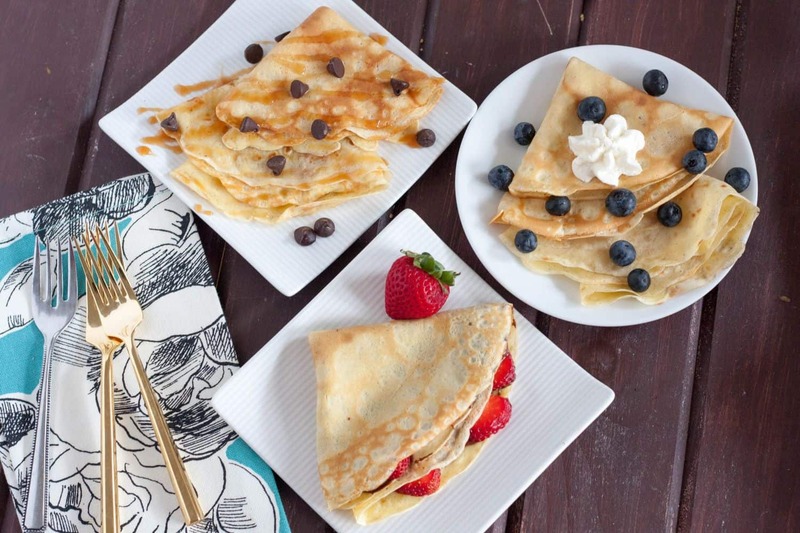 Beat the butter and sugar until light and fluffy. Stir in the eggs, one at a time, scraping the sides of the bowl after each addition. 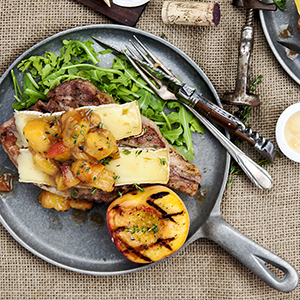 In a large measuring cup, combine the peach puree, peach wine, and milk. In a separate mixing bowl, whisk together the dry ingredients. Starting with the dry ingredients, stir 1/3 of the mixture into the butter, then add half the peach milk mixture. Repeat with another 1/3 of the dry ingredients, the rest of the wet ingredients, and the last third of the dry. Stir just until combined. Divide the batter evenly between 3 8" round cake tins and bake for 30-35 minutes until a tester comes out clean. Remove the cakes from the oven and allow to cool before leveling, filling, and frosting. Beat together the butter and cream cheese until light and fluffy. Add the sugar 1 cup at a time until desired consistency is reached. Stir in the extract. 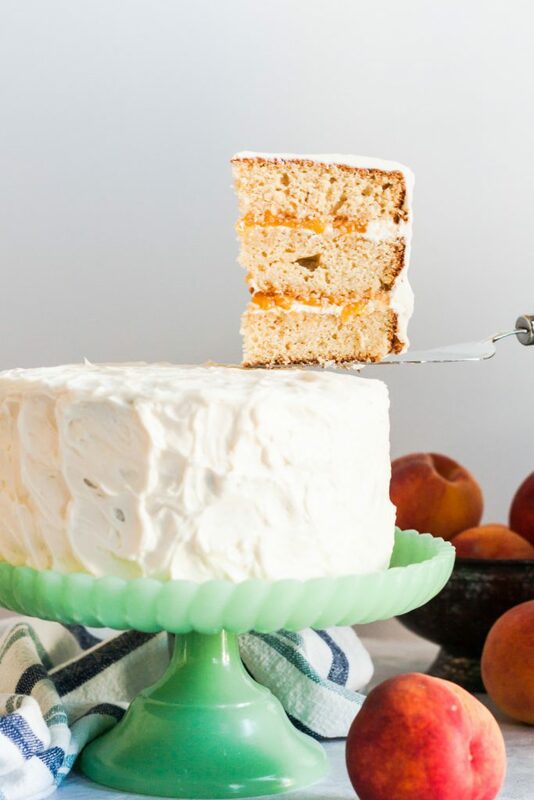 To assemble the cake, level all layers, then pipe a rim of frosting around your base layer, fill with peach filling, top with your second layer of cake. Repeat. Crumb coat the cake and let it chill 15-20 minutes before applying your final layer of frosting. *You're looking to have a cup of peach puree and wine. So if your peach is large and yields more than half a cup of puree, decrease the amount of wine.